​Francis Miot's strawberry jam recipe is made with the variety "senga sengana" and a lot of know how. 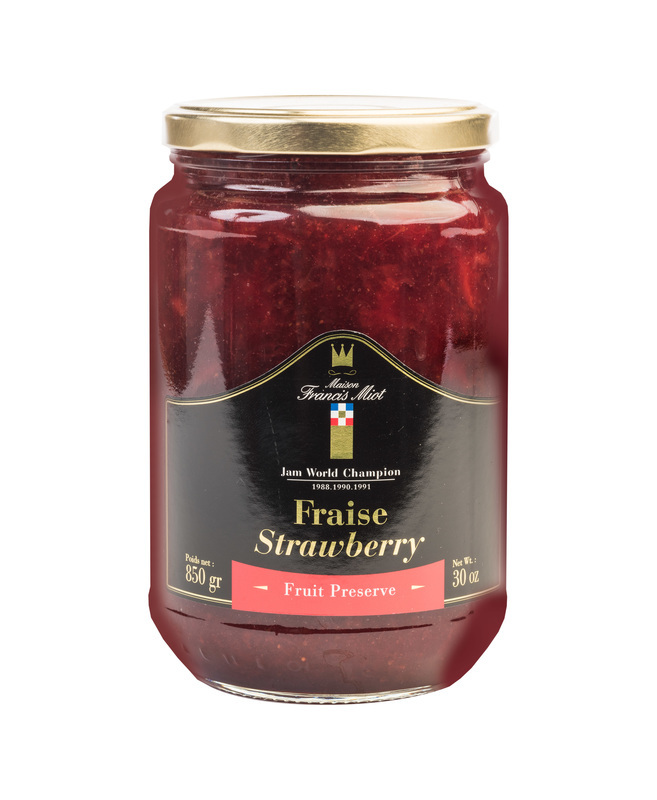 This strawberry variety is know to keeping a strong fruit flavor throughout the jam making process. It will enhance the taste of your toasts, desserts and snacks. Strawberry 60 %, cane sugar 39 %, concentrated lemon juice, red wine from Madiran, gelling agent: fruits pectin (from the fruits). Allergen : Ø.